Learn how to transform a $5 organizer from Target into a super cute DIY oil shelf! ::: For years I have loved using essential oils for all sorts of DIY projects. 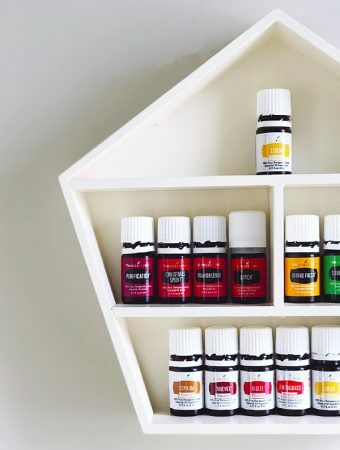 However, My growing collection has been desperately in need of organization; while at Target the other day inspiration for this DIY oil shelf hit and I just had to share it with you!